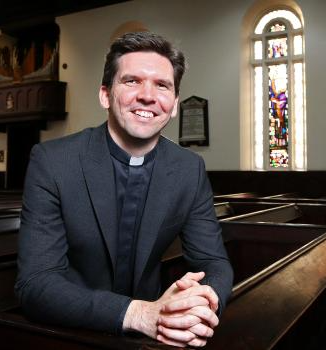 The Revd Matthew Williams, Vicar of St James’ Old Cathedral Melbourne, has been elected a Canon of St Paul’s Cathedral by the members of the second session of the 52nd Synod of the Diocese of Melbourne last week. He succeeds retiring senior Canon, the Revd Dr Ray Cleary AM. Matt said: ‘I am honoured to have been elected a Canon of St Paul’s Cathedral Melbourne, and thank everyone for their trust’. He added: ‘I look forward very much to working with Dean Andreas Loewe, Precentor Heather Patacca, and the rest of the staff and Chapter’. Dean of Melbourne, the Very Revd Dr Andreas Loewe, said: ‘We are delighted to welcome Matt to the Chapter of St Paul’s. His election brings a new dimension to the longstanding historic links between Melbourne’s ‘old’ and ‘new’ Cathedrals. My predecessor, the first Dean was incumbent of St James and built St Paul’s. It’s a great joy to welcome his successor at St James’ to Chapter’. Matt will be installed to the Chapter stall of St David on 5 December at 5.10pm.